First off I want to say these fajitas were super good. 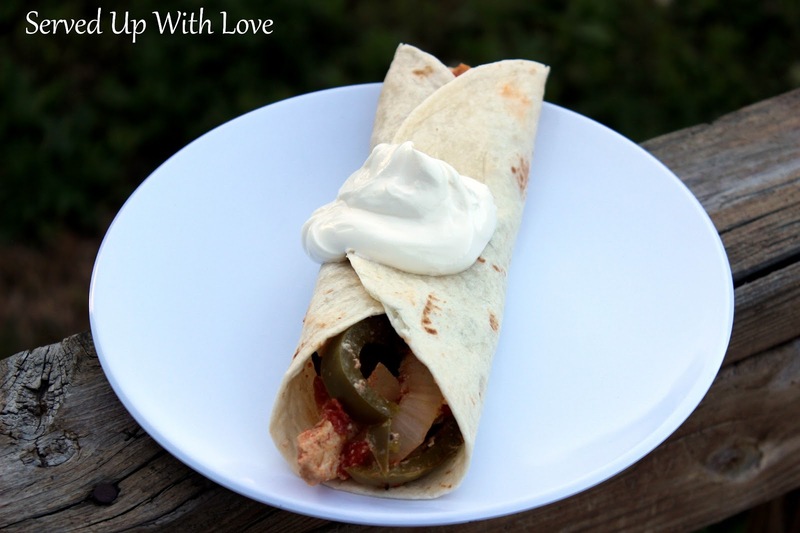 I have had issues in the past with commercial mixes for fajitas to the point where I do not eat them anymore. My stomach would tie in knots and I would be miserable. I am not sure what caused that but it would only happen when we had fajitas. I was a little apprehensive about trying these but I enjoy them so much I just had to give it one more shot. 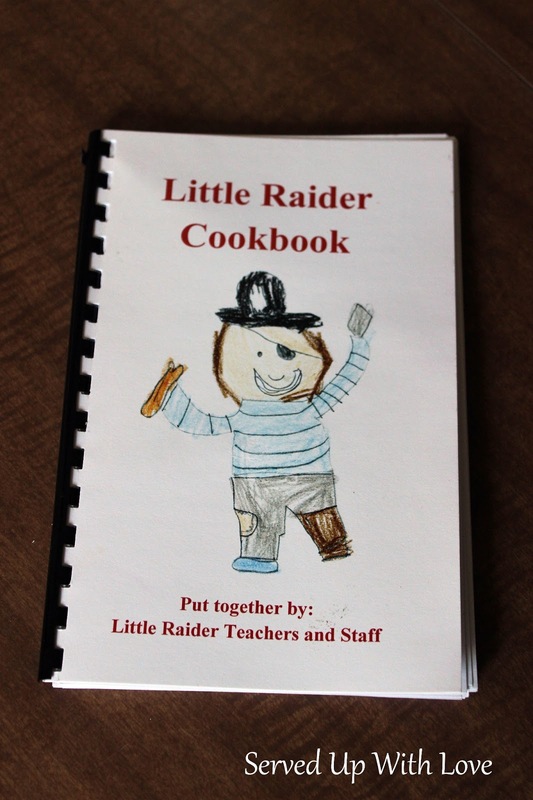 My daughters school had a fundraiser to raise money for a few of the teachers that are battling cancer by making a cookbook. I purchased one at my daughters fun day last month. This recipe was in this cookbook. I am super glad I purchased it, not only to help but for all the yummy recipes shared. These always make the best cookbooks. I do hope you get to try these. I did not have one minutes trouble with these affecting my tummy. A winner in my book. Preheat the oven to 400. Grease a 13 x 9 baking dish. Mix together chicken, rotel, peppers, and onions in the dish. In a small bowl combine the oil and spices. Drizzle the spice mixture over the chicken and toss to coat. Bake uncovered for 20-25 minutes or until chicken is cooked through and the vegetables are tender. 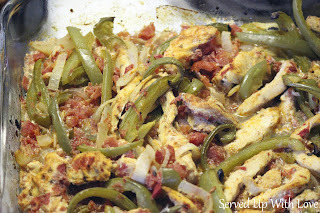 Serve with warmed tortillas or over rice with your favorite toppings. This is just the cutest little cookbook. Illustrations are by the students.